Anyway, the luxury e-tailer just launched their Gift Studio, highlighting the best present picks of the season! In addition to shopping categorically (Perfect Coats, Statement Shoes, Finishing Touches, etc), you can also shop by style and by price (so helpful!). Choose from The Elegant Traveller, The Luxe Bohemian and Forever Glamorous, and shop the items that will truly match her personal style. You can’t go wrong! The excellent selection and presentation doesn’t end after checkout either. Just wait until you get the boxes in the mail! The packaging is absolutely stunning, featuring their signature marble boxes and elegant wrapping paper. 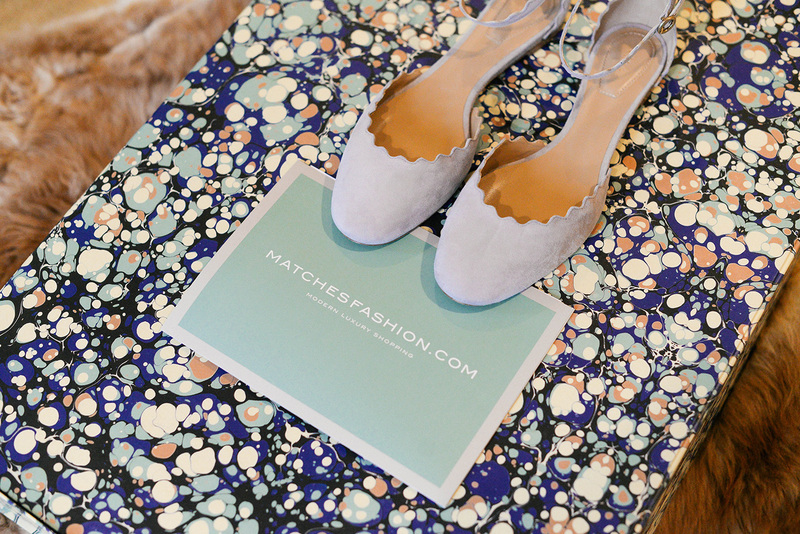 No need to worry about wrapping your own gifts this season if you order from Matches Fashion! 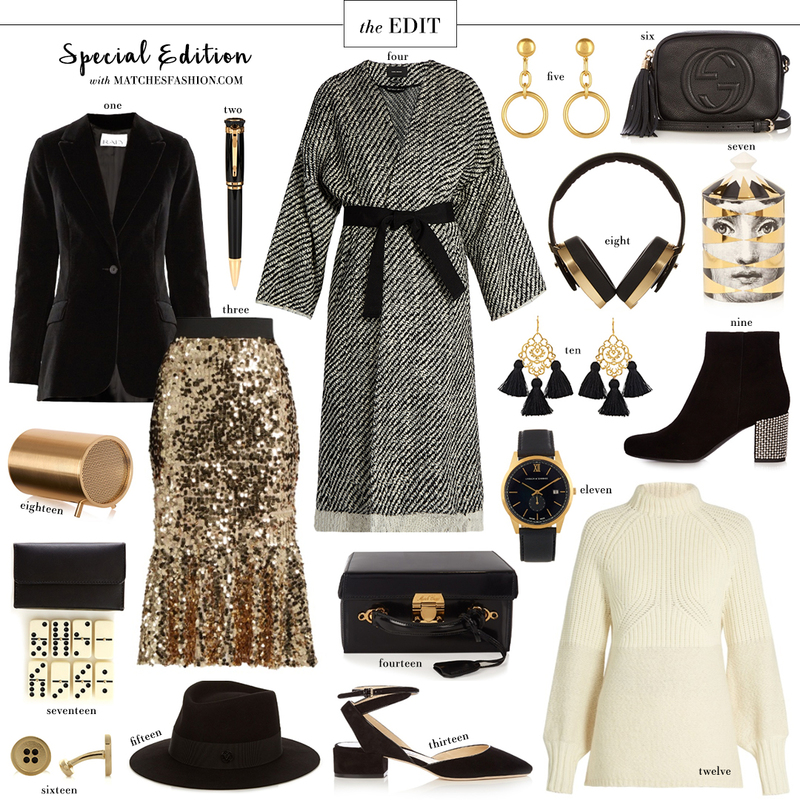 Click here to discover the Gift Studio and shop all the pieces featured in this EDIT. Here’s what I got from the Gift Studio! Clearly I am feeling the grey vibes this season (and Chloe!). 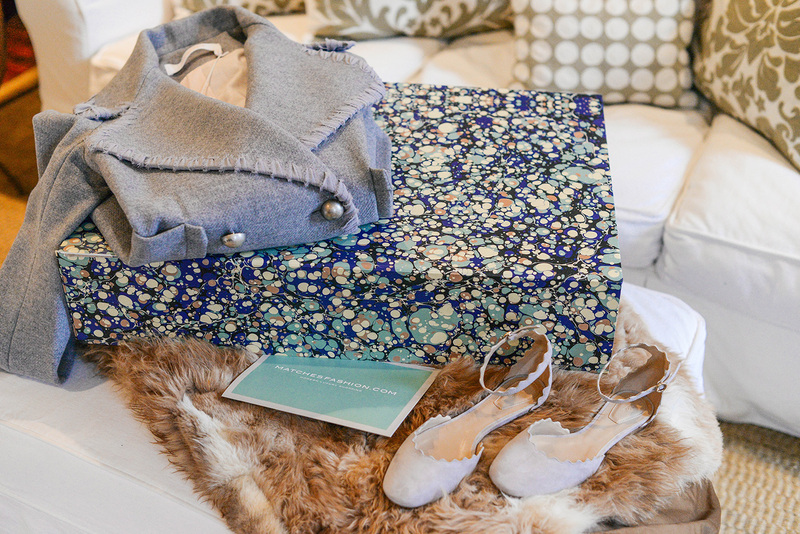 Love this coat + these flats! For the ultimate wardrobe staple that’ll last a lifetime, snag this belted trench. I wear mine all year round! This one is a classic. You all know how I feel about statement staples, and these sandals would be a fabulous addition to my spring/summer 2017 wardrobe. Love them! The style is fun and fresh, but in black they’ll look great with everything! This boucle tweed skirt is the perfect fall/winter work style! Pair it with tights and pumps or heeled over-the-knee boots for a chic office ensemble. Wear black and brown together effortlessly with this Saint Laurent bag. Such a versatile handbag! This pair of ivory duchess-satin trousers would be so beautiful against my other winter whites! Such a stunning pair of pants. I had to put myself on a shopping ban to stop getting myself stuff while Holiday shopping for my F&F. I want that speaker!!!! So chic! I love all of the black and gold! So chic. Great picks! I mean i’ll take it all! I want everything! Especially the headphones and mermaid sequin skirt! !